An Open Meet is a competition where swimmers enter as individuals, via the club, to compete against others of the same age band. These are open to all swimmers who meet the criteria set by the host club, known as the Promoter’s Conditions. We encourage all of our swimmers to enter at least 3 open meets each year. You can enter open meets once you are 9 years old. Open meets can be either age on day of gala (or last day if over more than one day) or age at 31st December. 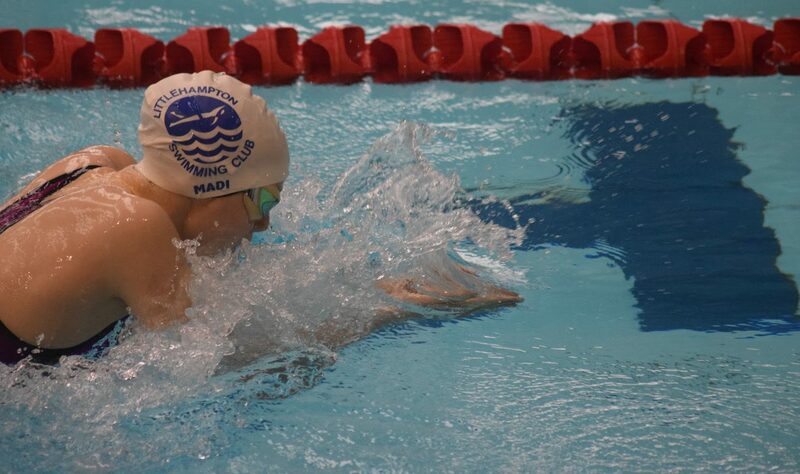 County Qualifier – After the summer break this is an opportunity to get back into competitive swimming and go for times for County Short Course Competition Qualifying Times. We also ‘support’ open meets run by other clubs where we pay for a coach pass and Team Managers will be poolside. For more details, and for the entry form, visit our External Open Meets. Parents/carers are free to enter their swimmers into open meets that LSC are not supporting but there will not be club representatives present so you should discuss this with the coaching team before going down this route. Level 1: These meets are swum in Long Course (LC) 50m pools and are generally aimed at National and Regional level swimmers. Swimmers will have to swim faster than published times, sometimes referred to as Minimum Qualifying Times. Level 2: B These meets are swum in Short Course (SC) 25m pools and are also aimed at National, Regional and County level swimmers. Again, these will have Minimum Qualifying Times, which swimmers must have achieved to gain entry. Level 3: These meets can be swum in LC or SC pools. These are generally for all but the fastest club swimmers. Promoter’s Conditions will state Upper Limit Times, which swimmers’ entry times cannot be faster than. Often there are also Minimum Qualifying Times, stating times that swimmers must have achieved to enter the event. If the meet you wish to enter has set these criteria for entry into an event, please ask your Squad Coach for a time trial. Level 4: This type of meet covers our Club Championships and will cater for all members of the Club.